KAMPALA – The bickering between MPs on the Public Accounts Committee -Local Government and members of Uganda Local Government Association (ULGA) have taken a new direction with Committee Chairperson, Reagan Okumu calling for a forensic audit into activities of ULGA after investigations revealed the Association has been using public funds to conduct private business. 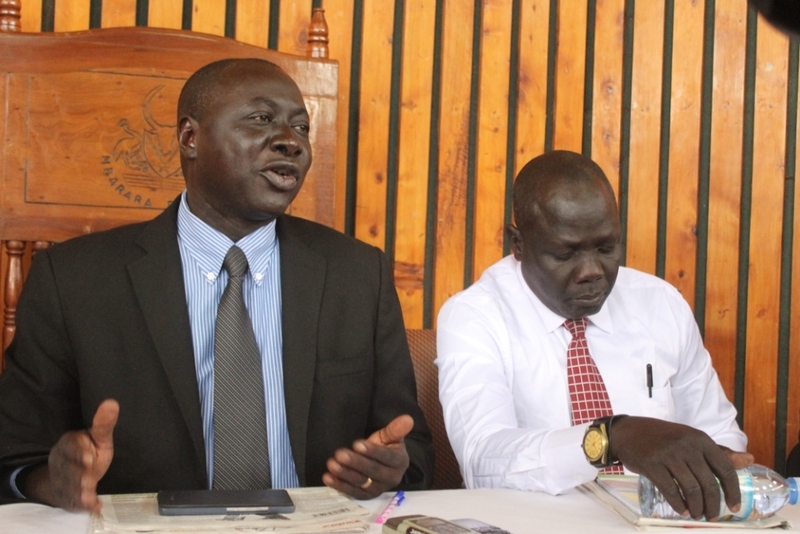 Okumu, who also doubles as Aswa County MP made the statement in reaction to media reports that ULGA leadership had questioned the authenticity of the committee report that highlighted the glaring corruption within Local Government across the country. ULGA’s statement came after the Committee handed over the report to President Yoweri Museveni last week and the leaders fired back accusing Okumu of being insensitive and continuously accusing the Local Governments of being incompetent and corrupt. Following the ULGA remarks, Okumu took to the floor of Parliament and defended the Committee informing Parliament that the Committee isn’t under any obligation to consult ULGA on accountability issues as the Association is private and not a government department. Okumu also wondered how ULGA would react to the report angrily before even having a chance to read through the Committee findings. It is then that Okumu revealed that ULGA has been using taxpayers money from its annual subscriptions from both the district and sub-county leaders. He explained that there is need for Parliament to ask the Auditor General to audit ULGA because the Committee discovered that ULGA which is a private association has been getting Shs6M from each district annually for membership and the Association went as far as getting these funds directly from the Ministry of Finance. With Uganda having 130 districts, all of them are required to pay the funds or have them deducted automatically from their accounts.